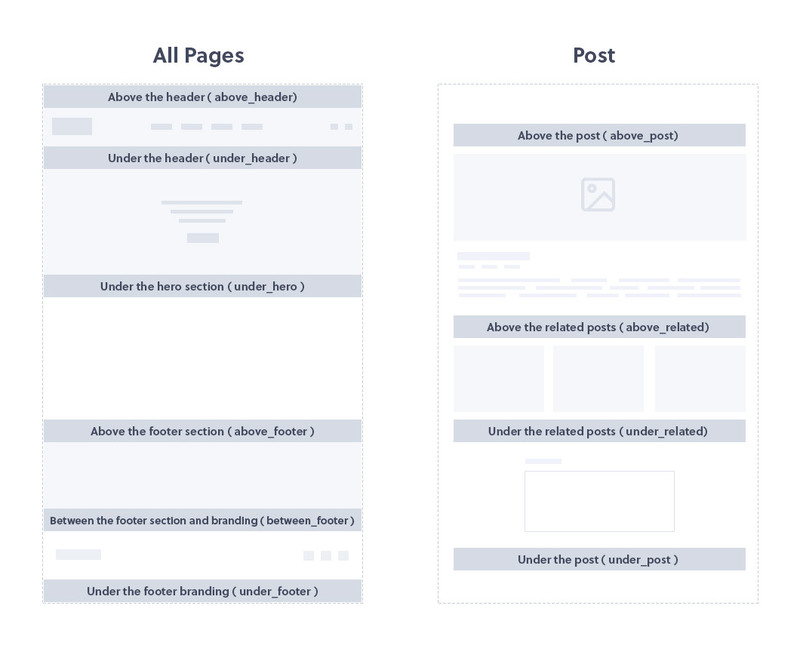 Custom post type that will help you create page builder content for specific theme positions. Block Position - Select page block position. See positions map image below. Block Assignment - Select page block assignment. Not effective if "Assign to" option is empty.  Assign to - Assign the page block to specific page. Select from the list or start typing to load specific pages. If empty page block is visible on all pages. Unassign from - Unassign this page block from specific page. Select from the list or start typing to load specific pages. This options works in conjunction with Assign to. Example; if Block assignment is Show and you assign this block to all single posts and unassign from specific single post, the block is not visible on that specific post. If however the Block assignment is Hide than the block is visible only on specific single post and hidden from all other single posts. Block visibility - Select user roles that can see the page block. Visible to - If unchecked everyone can still see the page block. If you select Logged in than all users that are logged in will see this block. For more restrictive visibility do not use Logged in but rather select the user role. Logged out option makes this block visible to site visitors only. Use the position map above to assign the page block to desired position. Note that multiple page blocks can be assigned to same position. If you need to sort their order we recommend you use Post Types Order plugin for blocks reorder. Offcanvas pageblock position will display any pageblock in a offcanvas overlay position if a selected header layout is, Offcanvas push out, Offcanvas slide out, Mini and Mini Right. You can see it in action on Vibrant theme demo. 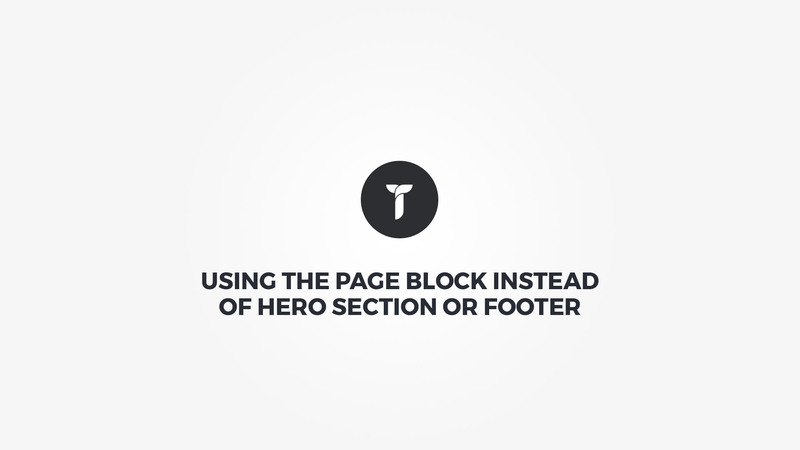 Page block can also be used instead of theme hero section or footer. Watch the video above to understand how to acheive this. $position - Page block position name. $echo - true by default, return if false.